ASBSD’s guide will prepare new, current and potential school board candidates for their role on the board. 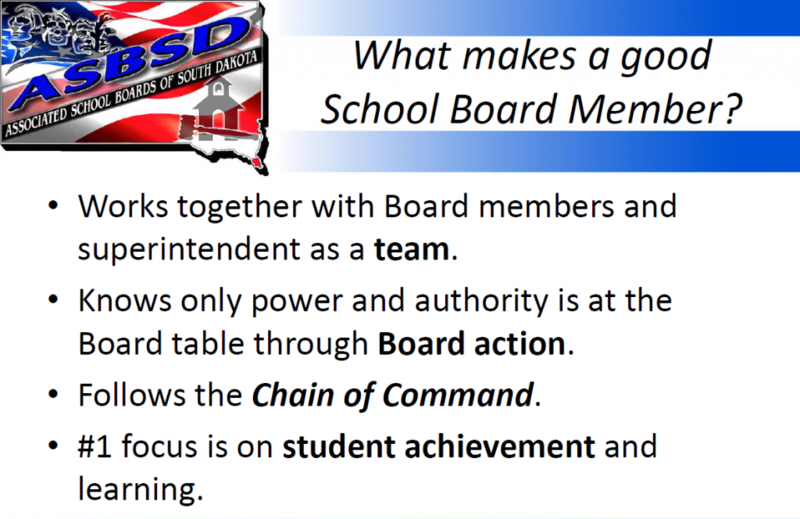 ASBSD Leadership Development Director Dr. Randy Royer has revised and updated a brief video guide (and printable presentation) to share with new, current and potential school board members. 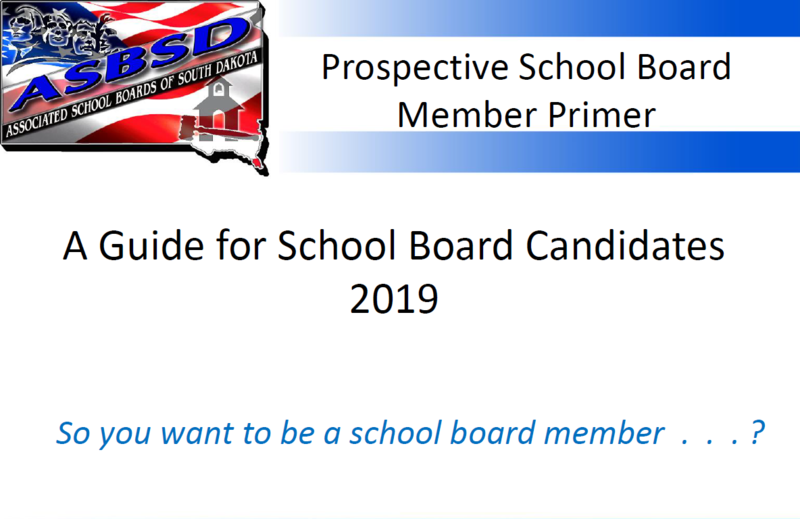 “The latest edition of the guide walks interested individuals through the steps of becoming a school board candidate, what’s expected of current school board members and the qualities that make up a good school board member,” Royer said. 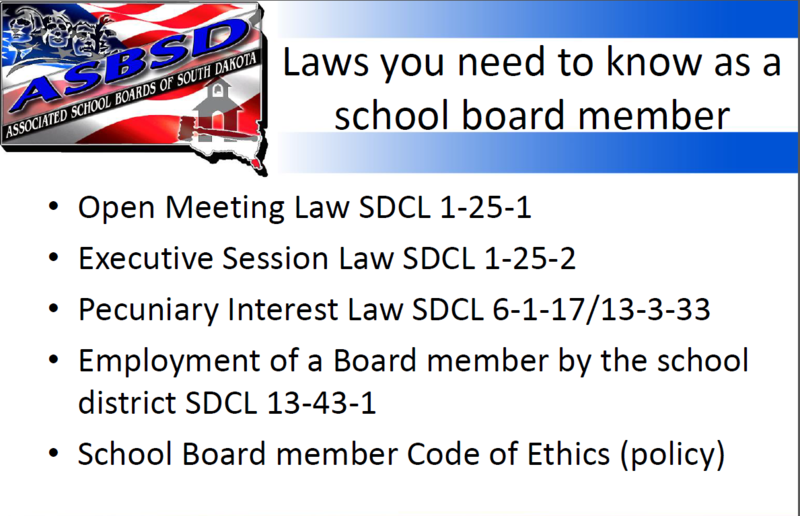 Go to the ASBSD Board Development web page (http://asbsd.org/index.php/services/board-training/) and click the “A Guide for School Board Candidates” link highlighted in blue. The print version of the guide can be downloaded here and on each page listed above, as well. “We want new school board candidates and school districts to utilize this as a tool to help prepare members for their pivotal role in South Dakota’s public education system,” Royer said. If you have questions about the guide, contact Royer at rroyer@asbsd.org or at 605-773-2504.